Recently, I've been experiencing really intense bad moods and feelings, ones that i never had before. I was confused because there wasn't anything annoying me but as I dug deeper, I found that my pain had a source: past events that left a scar in me that I can never forget. I feel very sad, I cry, I binge, I can't sleep through the night; I don't eat as much as I used to and the list goes on and on. I'm going to give you my usual answer here: Any past emotional trauma - no matter how severe - can be completely resolved in most cases, with Meridian Tapping/EFT. This is a self-help method that you can learn to use on yourself... but for severe or overwhelming traumas, may be better to undertake this process with the help of a trained therapist or other practitioner who uses EFT/Tapping. Other therapy methods can help too - but Tapping is by far the best I've ever found, and is what I use with most of my own clients. With Tapping you can usually let go of pretty much anything, and put the past behind you. I can vouch for the good advice Ben just gave you. I spent two years in therapy (conventional) with little results--even some things getting worse. I have used tapping on my binge eating with good results! When I used his guided meditation the first time, I had horrible nightmares (about my extremely abusive, alcoholic ex-husband). I thought I had already let that part of my life go, but was wrong, as Ben pointed out when I asked him about it. 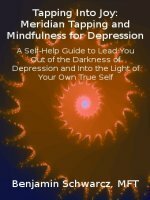 I have used Tapping to help me through the trauma I suffered at his hands. Guess what? No more nightmares, no anxiety if I think about him, no more shameful feelings about what I "let" him do to me. Tapping will really work--just give it a chance, and don't get discouraged if you don't get results the first time. It can take a little practice! Also, use Ben's guided meditation--you won't believe how relaxed and calm you will feel afterwards. I know I sound like a commercial, but I have had such good results, I want to share it with everyone!! Good Luck to you.